This week one of the largest ever Aston Martin events took place at Kensington Palace, England. 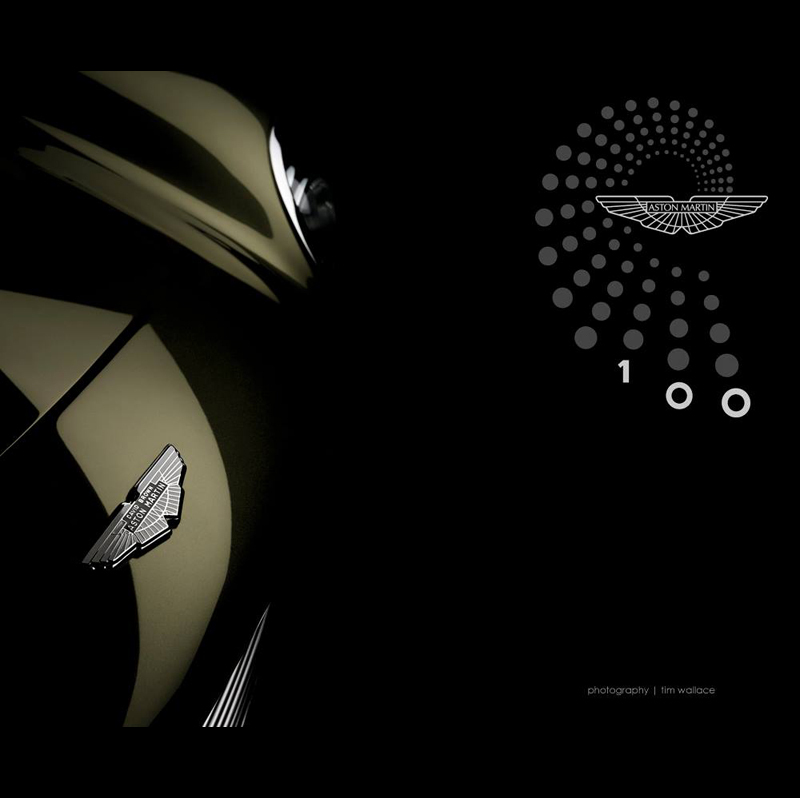 The event was one of many occurring Worldwide as Aston Martin celebrate their 100th Year Centenary. 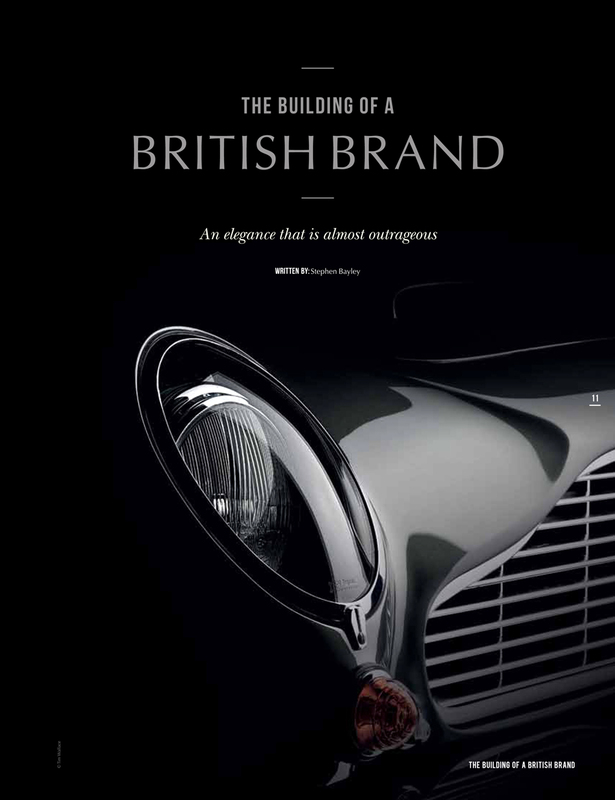 To mark this special event at Kensington Palace Aston Martin commissioned a commemorative brochure to be produced through publishing and design specialists 'Identity' based in London, England. The brochure was to inspire and captivate those attending the event and also will be carried forward to all subsequent AM events for the rest of 2013. 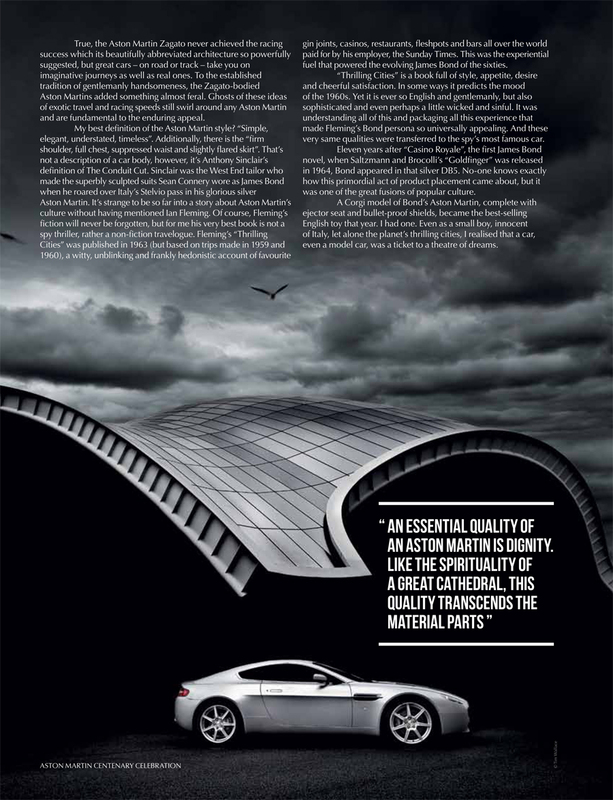 We are extremely honoured and proud to have been part of this brochure with Aston Martin photography being featured by automotive car photographer Tim Wallace who worked closely with 'Identity' on this first project with our new client. 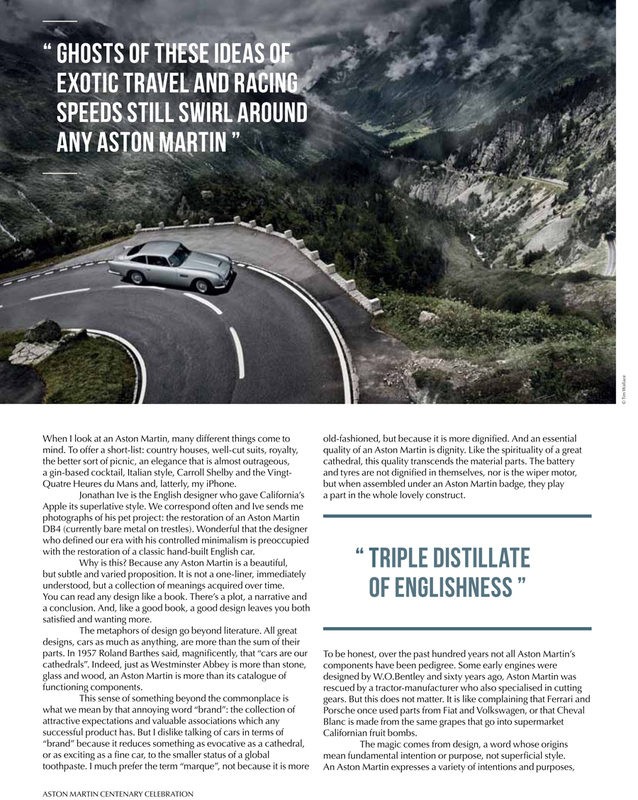 The brochure received very positive praise at the Kensington Palace event and we look forward to seeing it being made available Worldwide as the Aston Martin events continue globally throughout 2013 including the Silverstone Classic Racing event to be held this weekend. Together with the Aston Martin Heritage Trust (AMHT) and Aston Martin Owners Club (AMOC), the company gathered 100 of the best models from its century-long lineage. In most cases, this means ‘the best available at the time…’, but Aston’s loyal aficionados turned up with the full works for each generation. The pre-War era boasted the likes of Razor Blade, the Headlam coupé and several Ulsters, while important versions of all post-War models were present. Highlights included the high-riding DB2 prototype, the DB2/4 Competition Spider by Bertone and the Bahama Yellow DBS from The Persuaders. The Bulldog, Ogle and CC100 concept studies also drew particular interest with their unfamiliar lines. As CEO, Dr Bez has had a considerable influence on Aston’s fortunes in the last decade. For the anniversary, he chose his favourites for a ‘centennial selection’. The three 'Bertone Jet' Astons contrasted with each other well, while Bez’s own green DB2/4 looked particularly pretty. World debuts were also seen in the form of Zagato’s pair of Centennial one-offs: one, a convertible, based on a DB9, the other coupé using a DBS as its basis. Of course, the current line-up was also present in full. The 1959 Le Mans win was without doubt the firm’s most important racing victory. But alongside the DBR1 that finished second that year was a host of other machines which had a good go at La Sarthe, all packed into a special mini-exhibition. The ‘Project cars’ rubbed door handles with more modern Nimrods and DBR9s, while the ‘VEV’ DB4GT Zagatos added a touch of curvaceous beauty.